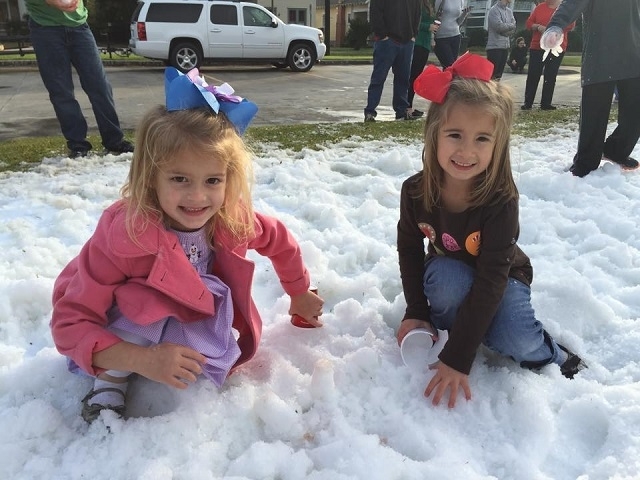 Yes, this is really a scene from Lake Charles, Louisiana! 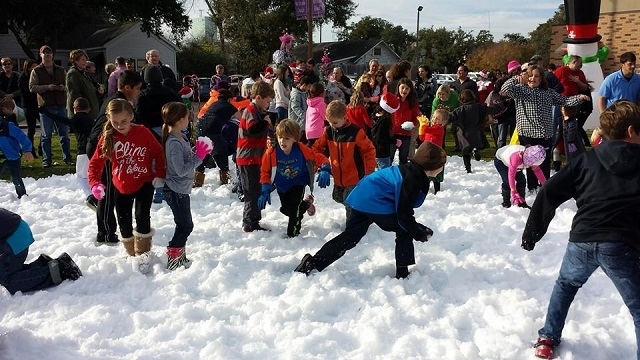 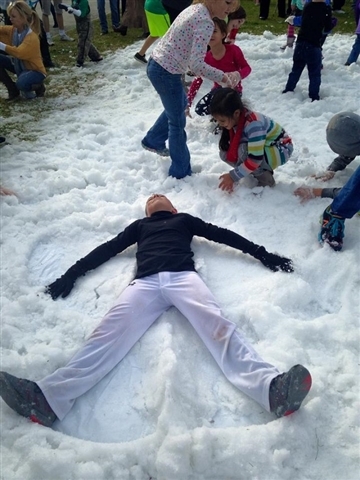 First United Methodist Church held “Let it Snow Day” on Dec. 7, complete with hot chocolate, cookies, photos with Santa, and three tons of snow to play in! 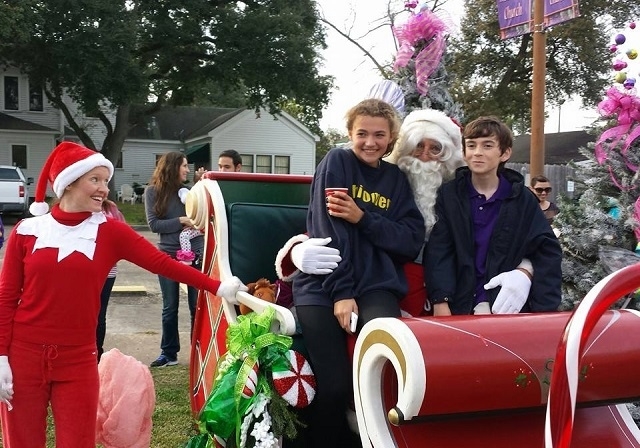 The church also gathered toys and donations to provide Christmas gifts for children of incarcerated parents.